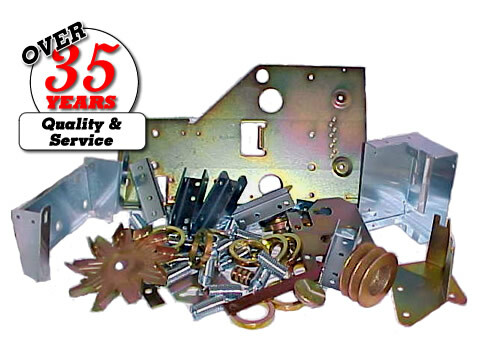 We want to provide your parts finished, per print and that includes finishing the metal. And many more! Contact Sales. Electro-tin plating is used for excellent solderability and corrosion resistance. Electro-tin plating is used for excellent solderability and corrosion resistance. This option is NOT RoHS compliant. Zinc plating is the process that involves electrolytic application of zinc to metal by immersing clean steel parts into a zinc salt solution and applying electric current into it. This immersion produces zinc coatings that prevent oxidation of the protected metal. Zinc coating acts as a barrier and as a sacrificial anode when this barrier is damaged. Zinc is the best ally of steel to combat its natural enemy: corrosion. Nickel plating is generally used to improve corrosion and wear resistance of the underlying base metal. Electroless Nickel ( Mil-C-26074) is good on flat or gently formed parts. Electroplated Nickel (QQ-N-290) is also available. Both types of nickel plating are not recommended on parts with sharp, formed features as the brittle plating will crack when the part is formed. Appearance of nickel can be similar to stainless steel in color, or an almost white, dull-grey color. Nickel plating is magnetic. Specify thicknesses ranging from 100u” up to 600u” and up. Gold plating is used in electronic parts where electrical conductivity and high corrosion resistance are required. Under Mil-G-45204 are Types I and II, grades B & C are known as hard gold Type III, grade A is known as soft gold (best used for wire bonding). If all you need is a gold flash, only 3 to 5 millionths of an inch of Type I, grade B is needed. Specify thickness from 10u” up to 100u”. Silver plating such as matte finish silver (Type I) and bright finish silver (Type III) are sometimes used where high electrical conductivity and excellent solderability (but decreases with age) are required. Has good corrosion resistance, depending on base metal. QQ-S-365. Specify thicknesses from 100u” up to 1000u”. Anodizing, an electrolytic process, converts aluminum surfaces to aluminum oxide. A hard coating, and resistant to corrosion. The process changes the molecular structure of the metal surface, giving it a thin, protective film. Anodized finishes are usually colorless, but can be dyed in a variety of colors. Aluminum is often anodized, as is titanium, magnesium and tantalum. For ferrous metals, a black, uniform coating commonly used for decorative purposes. Can provide very limited corrosion protection. Used to reduce light reflection, the more popular types of blackening are black oxide on copper and brass (Mil-F-495) and black zinc on steel (QQZ-325). Electropolishing is widely used to provide parts a shiny and smooth surface, this process removes a few layers of atoms from a part (typically .0002″-.0005″), smoothing the surfaces and rounding the edges. 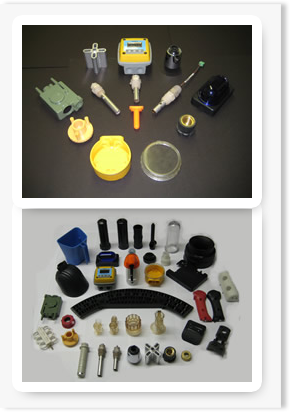 Hi-Rel Plastics & Molding, Inc. can fully or selectively paint your part. If you have ½ etch features, we can paint and fill. If you have a specific paint color in mind, please provide the Pantone number. Passivation is primarily used for cleaning and descaling stainless steel parts. While cleaning provides an enhanced appearance to the metal, it also ensures maximum corrosion resistance and prevents product contamination. MIL-S-5002. The stainless steel passivation process removes "free iron" contamination left behind on the surface of the stainless steel which result in premature corrosion. In addition, the passivation process facilitates the formation of a thin, transparent oxide film that protects the stainless steel from selective oxidation (corrosion). Hi-Rel Plastics & Molding, Inc. can etch your part, then selectively mask and plate onto your part. Works will most types of plating (electrolytic, electroless). Tumbling is used to give parts a smoother surface area, to clean, and to break sharp edges. Parts are mixed in a vibratory tumbler with a selected media.